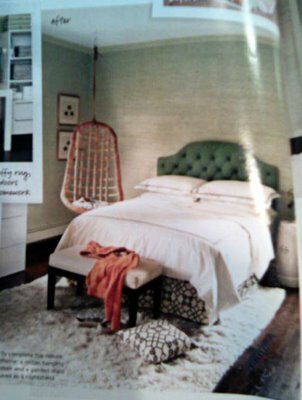 I love this bedroom in the February issue of Domino. I enjoy all the varying shades of green and the unique touches. 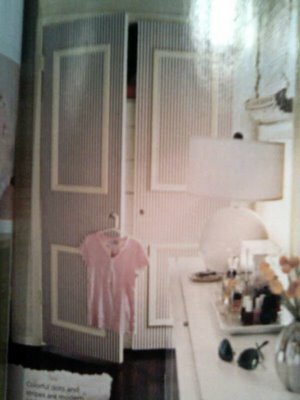 The closet doors covered in a stripe with green trim is brilliant. Oh, and did I mention this was a room re.do for a 13 year old. Lucky girl. 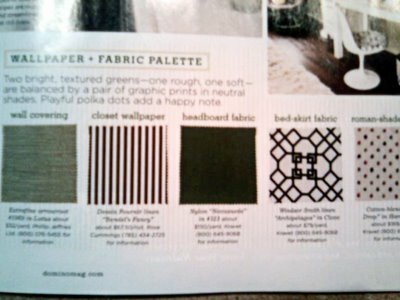 I must admit though I am grabbing some inspiration for my current room re.do. Sorry for the poor quality of the photos, my camera phone is not all it's cracked up to be.